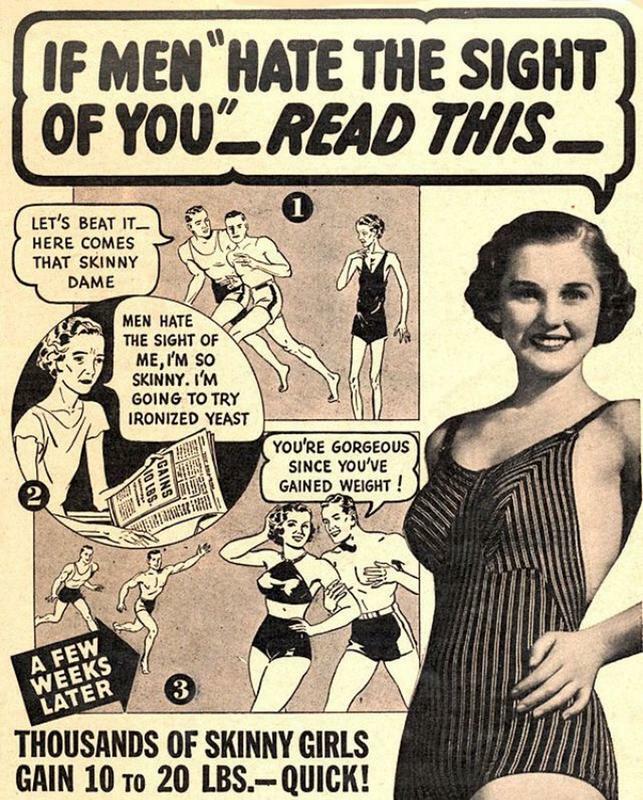 "Don't let them call you SKINNY! 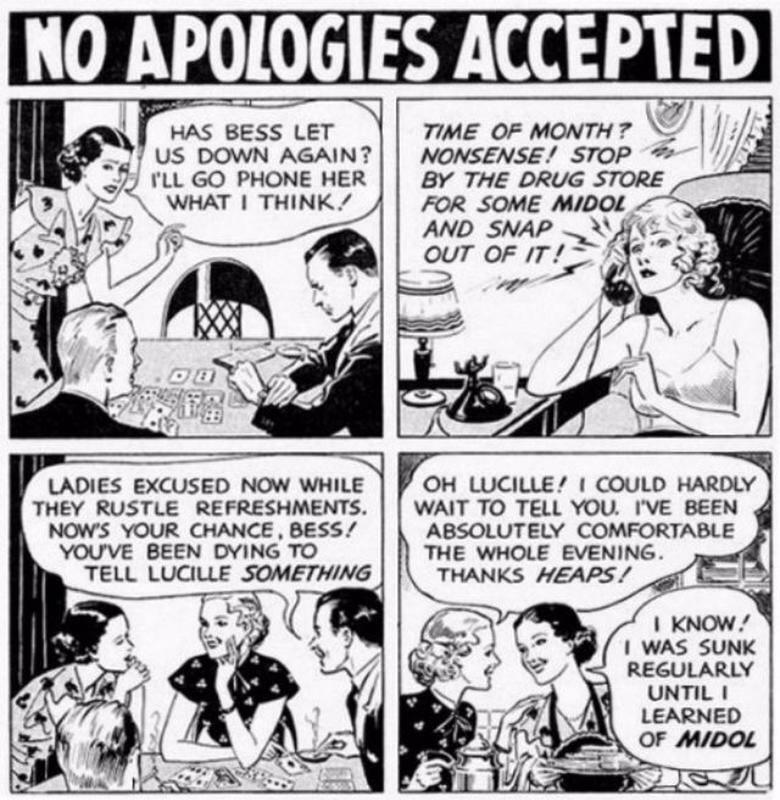 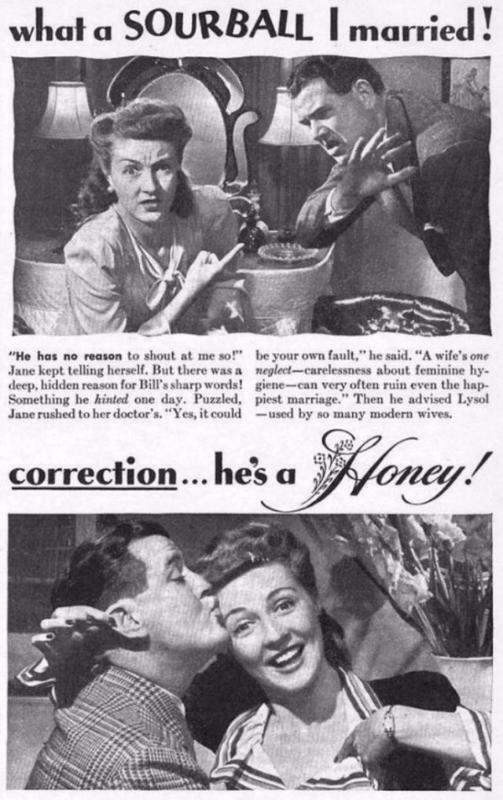 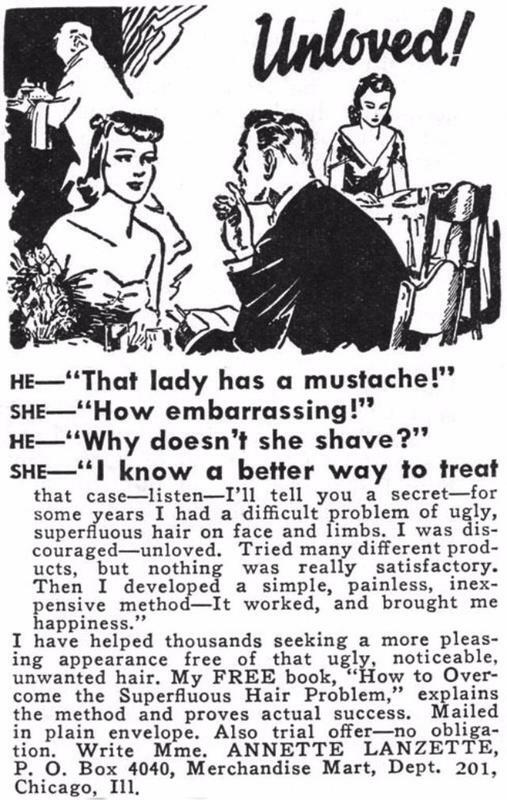 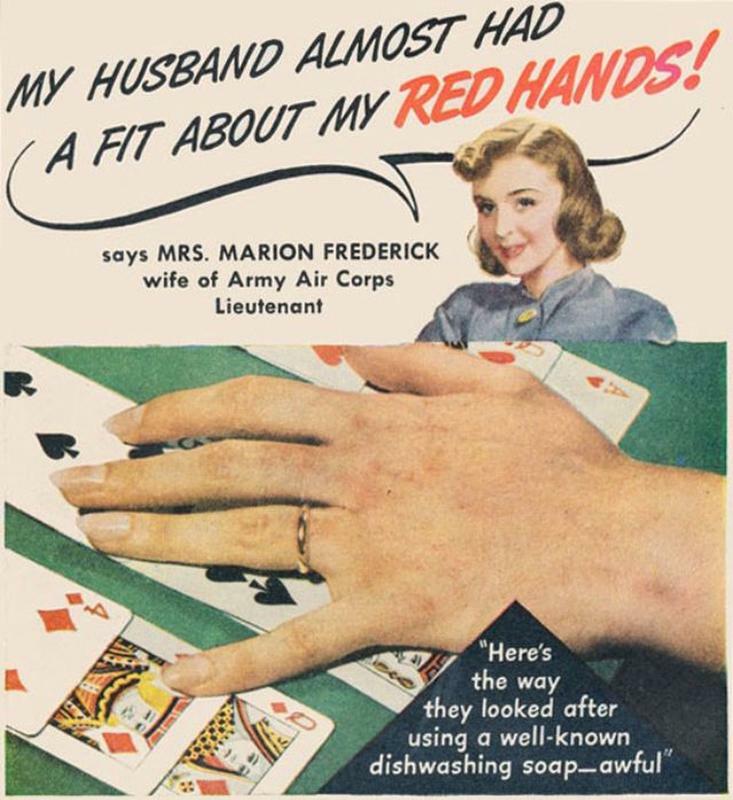 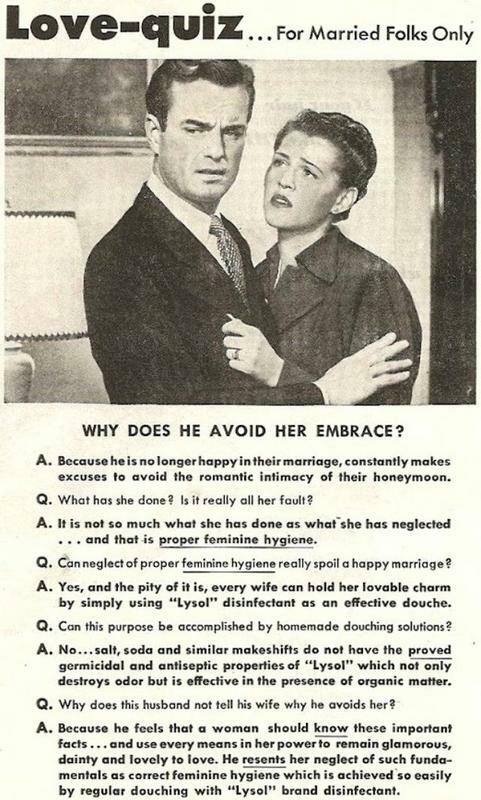 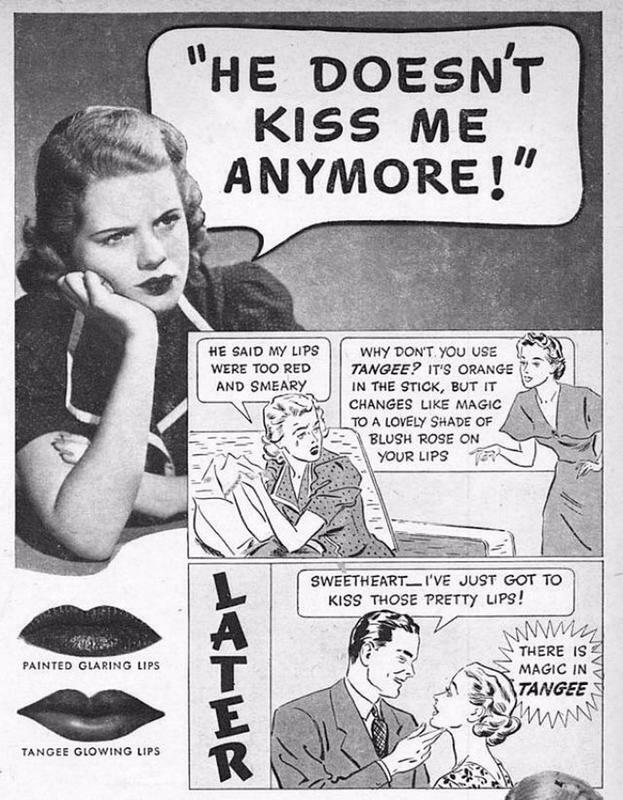 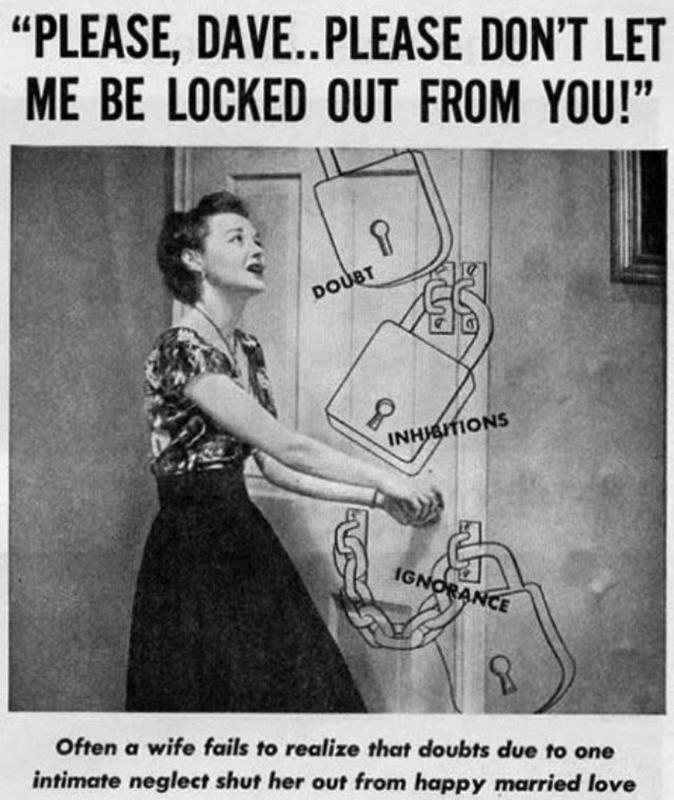 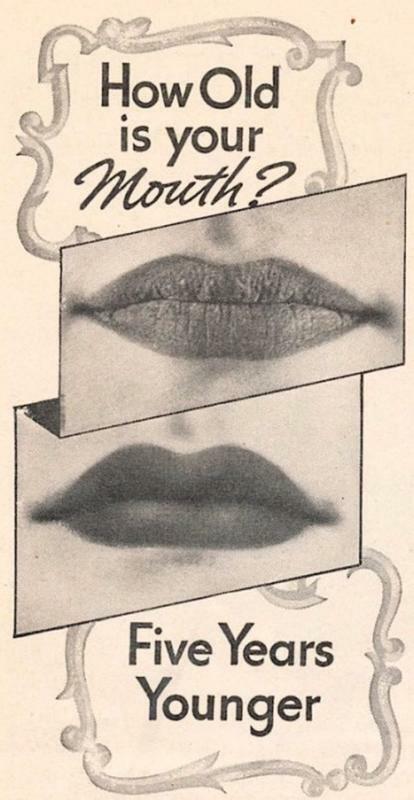 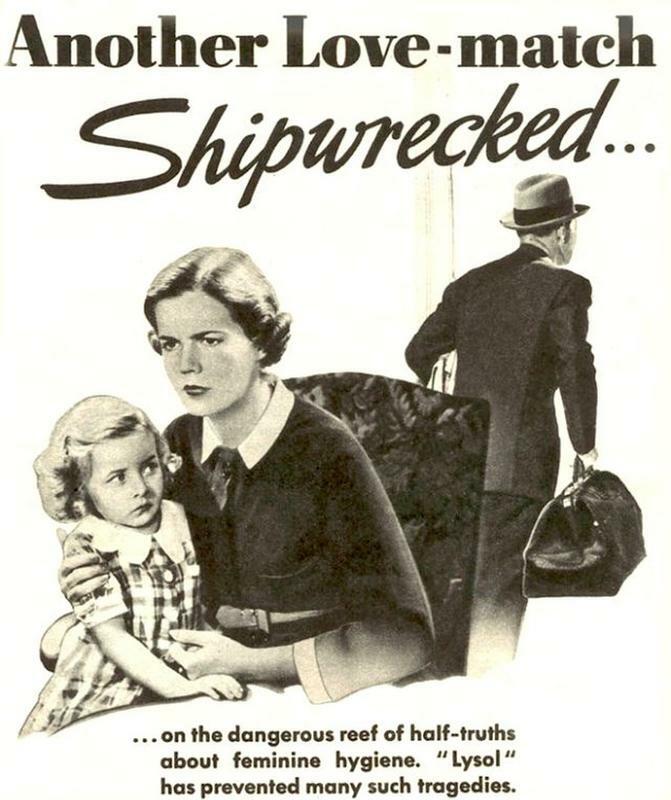 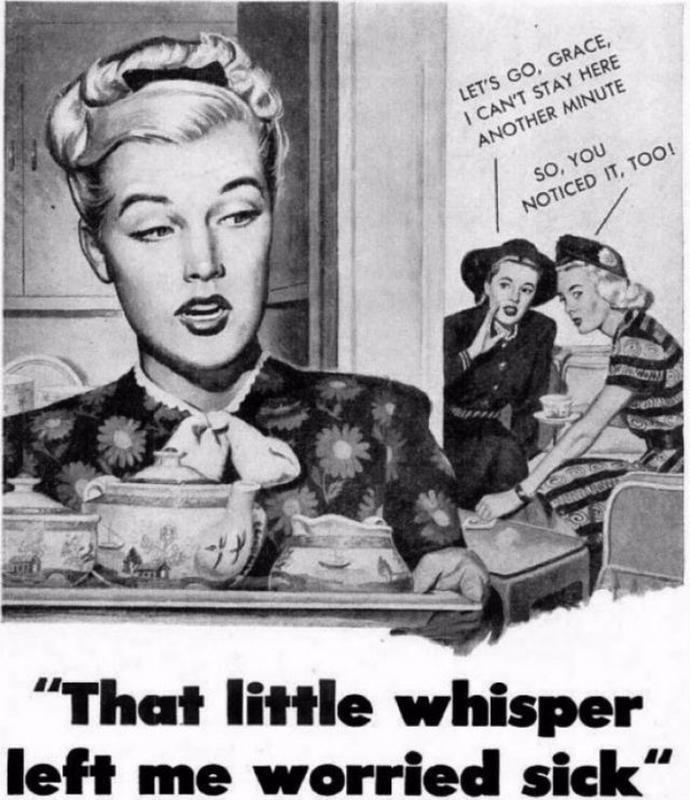 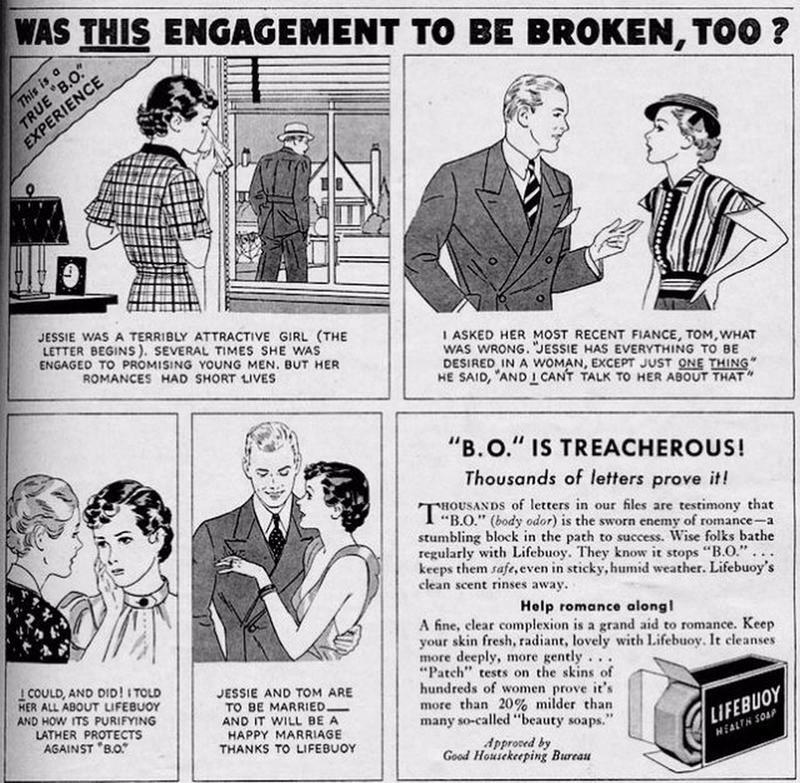 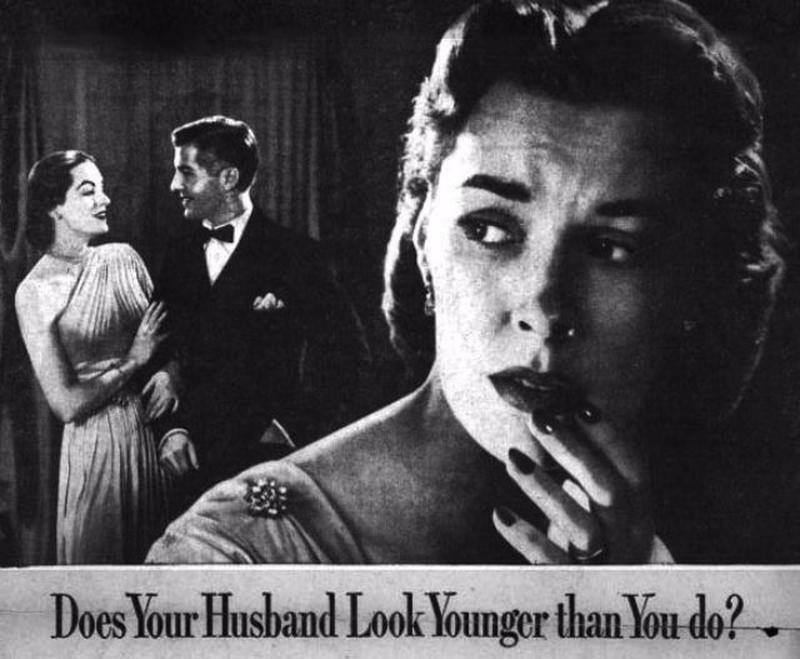 ", a warning for women from a vintage ad. 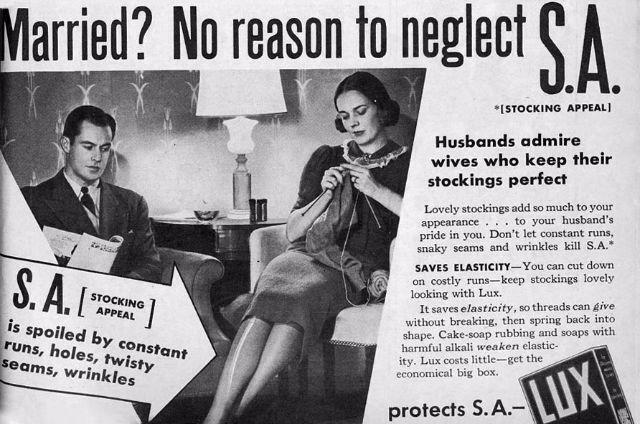 Another promises to keep you slim with smoking cigarettes. 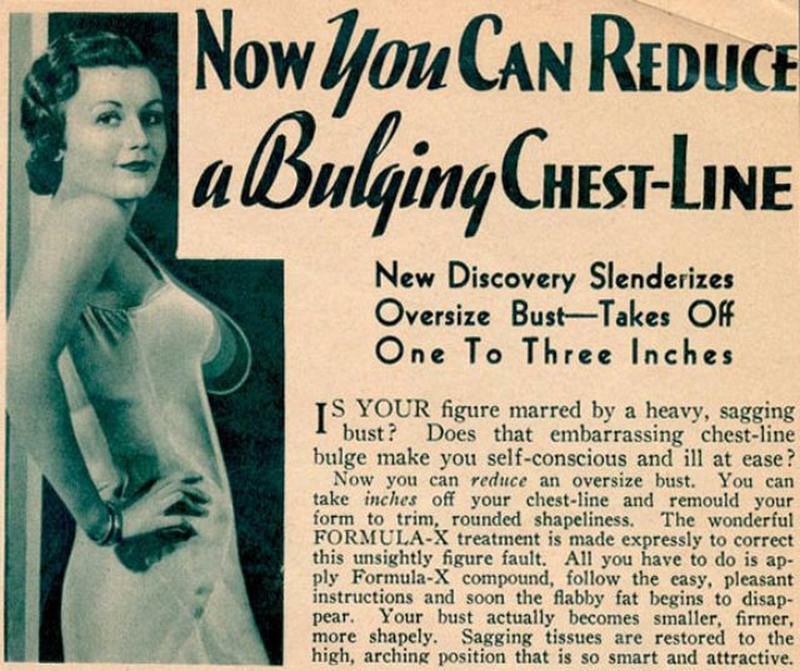 If the burden of transforming womens' bodies into the current desirable shape isn't enough, they are also prompted that they stink. 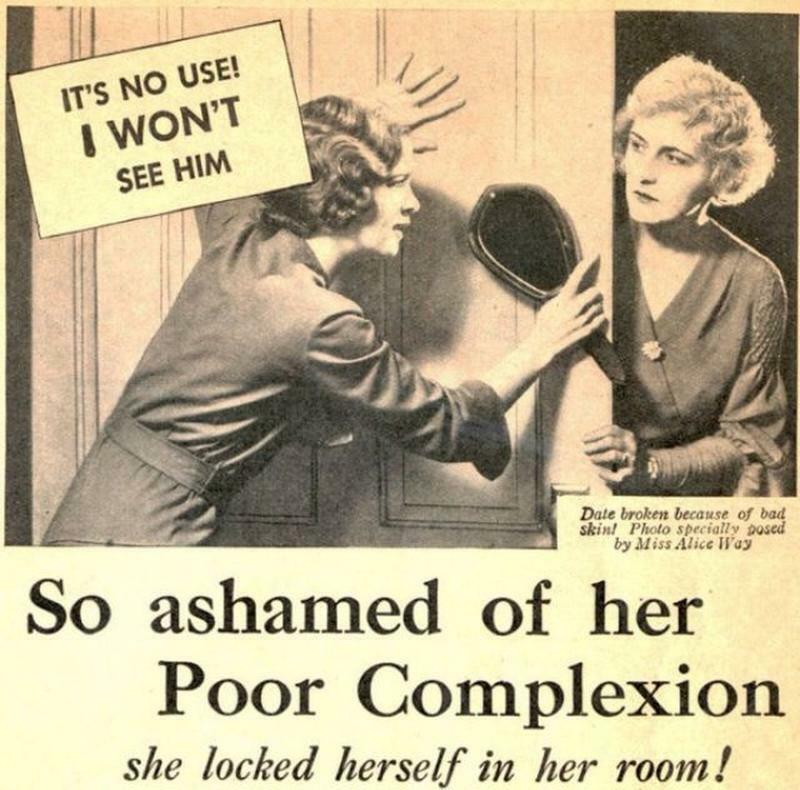 Do talk about her skin. 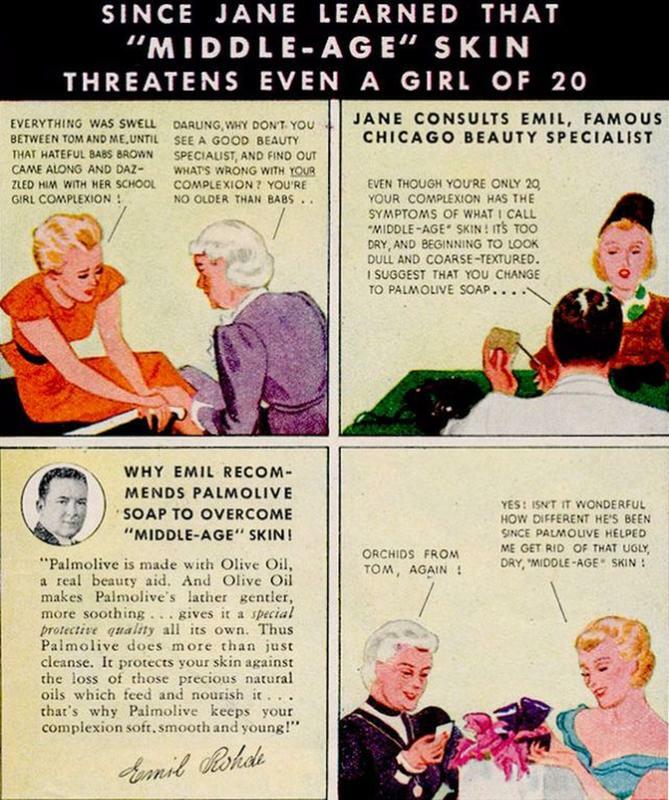 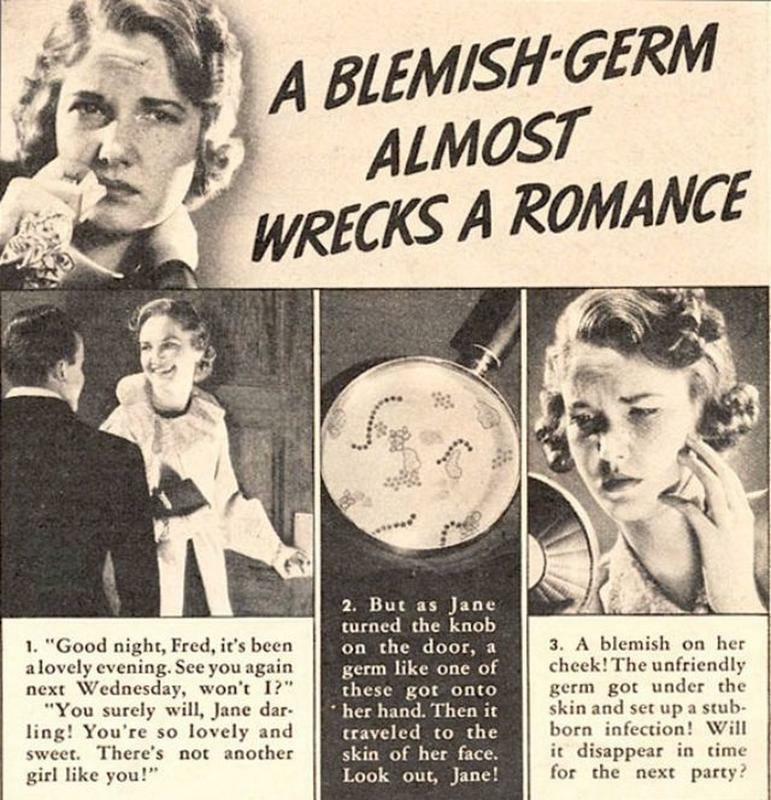 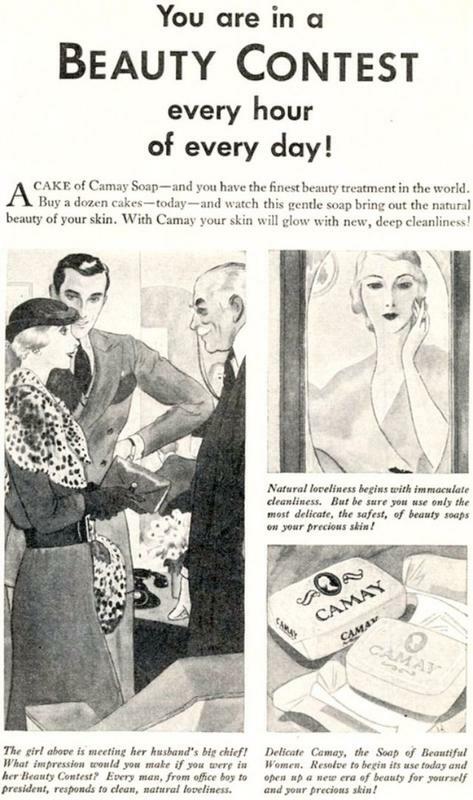 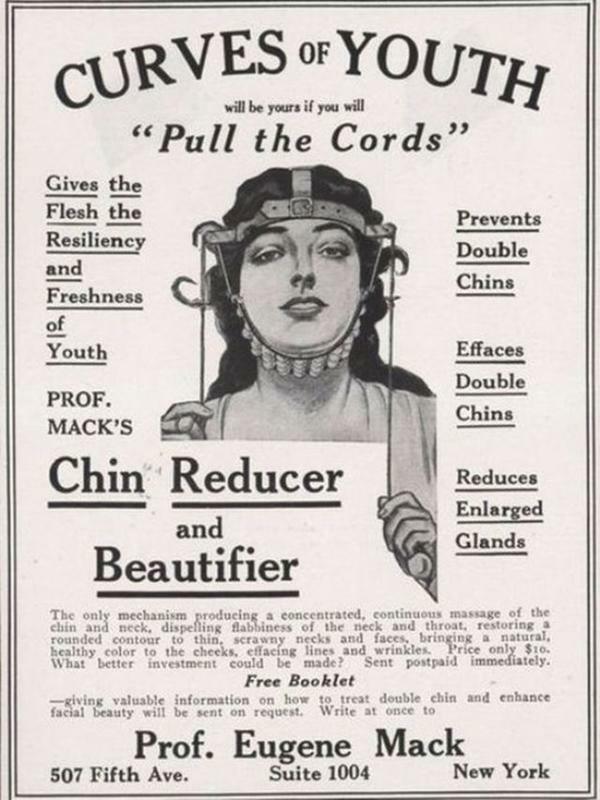 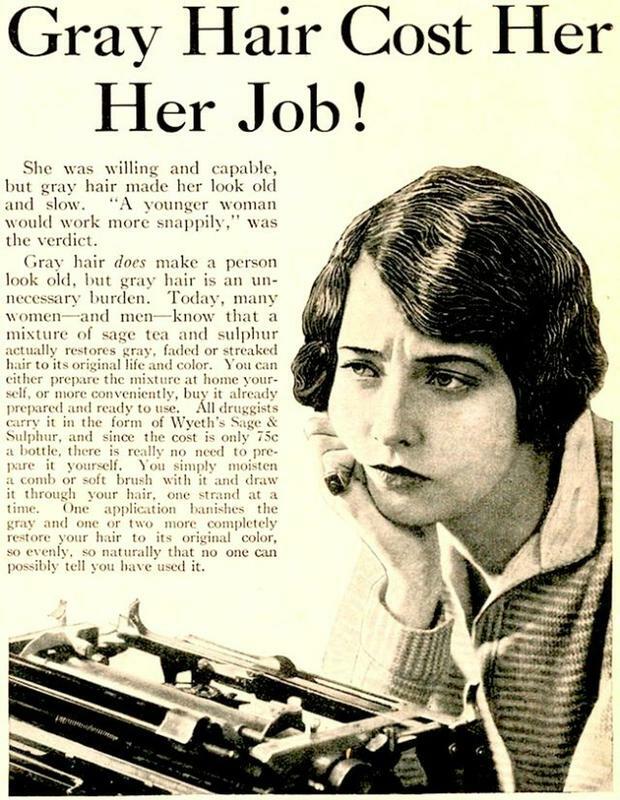 According to some ads, she may drive away men with her appalling coarse pores, old mouth, tan lines, wrinkles, middle-age skin, hairy legs or lip, dishpan hands, stretch marks, visible veins, or horror of all horrors, zits! 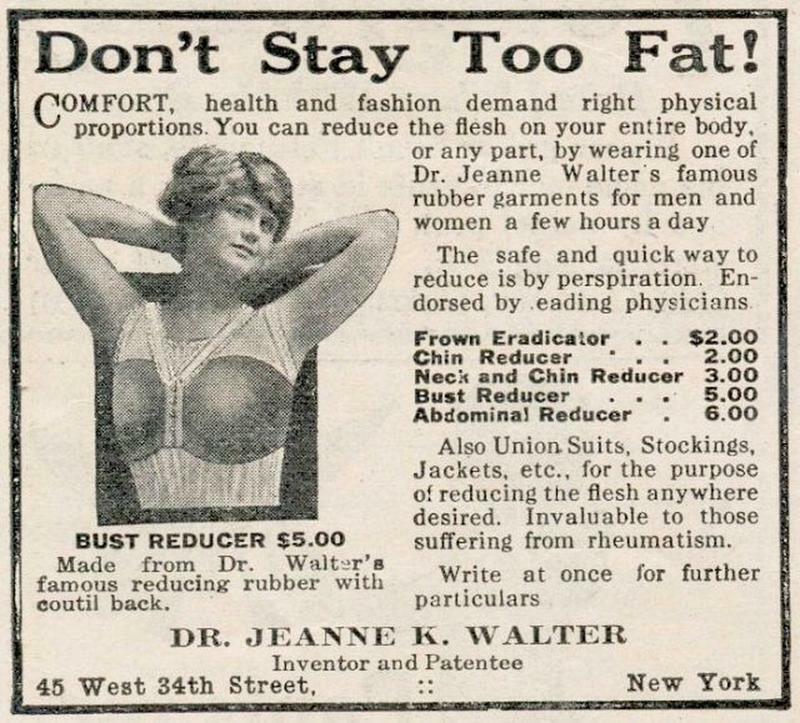 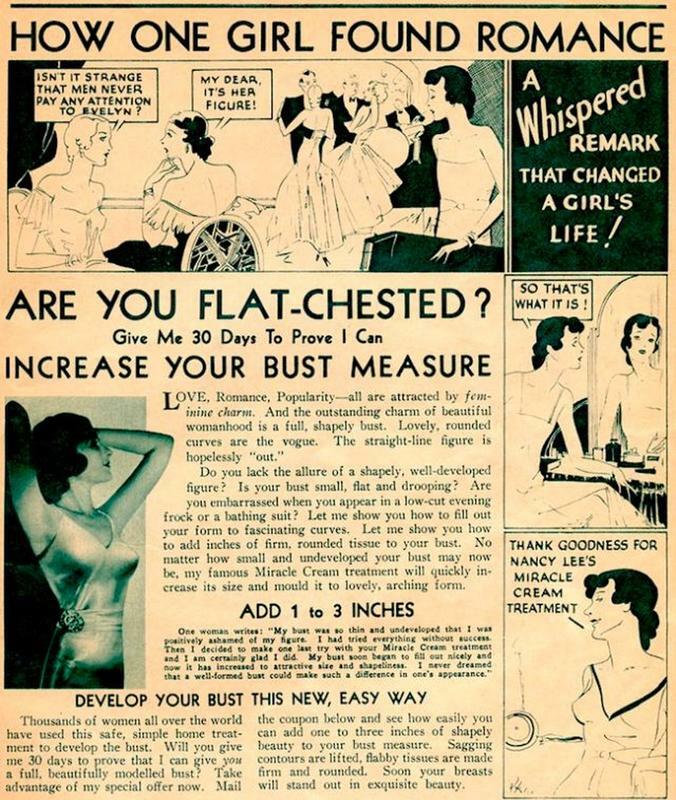 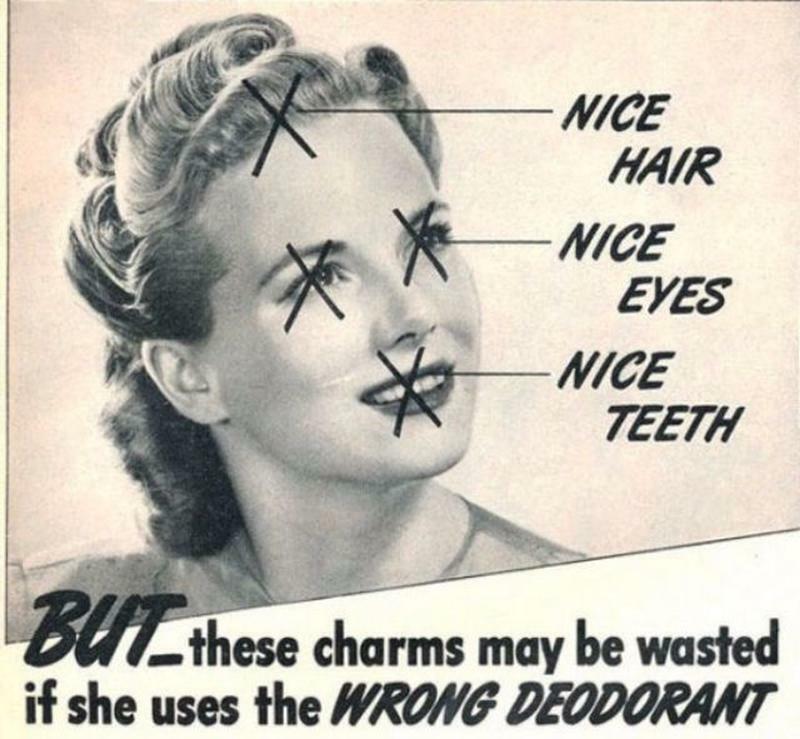 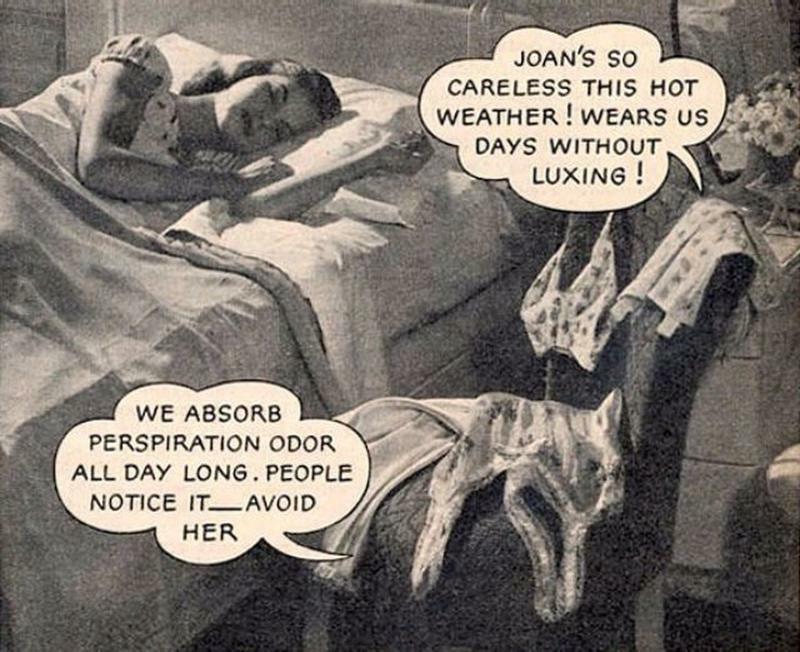 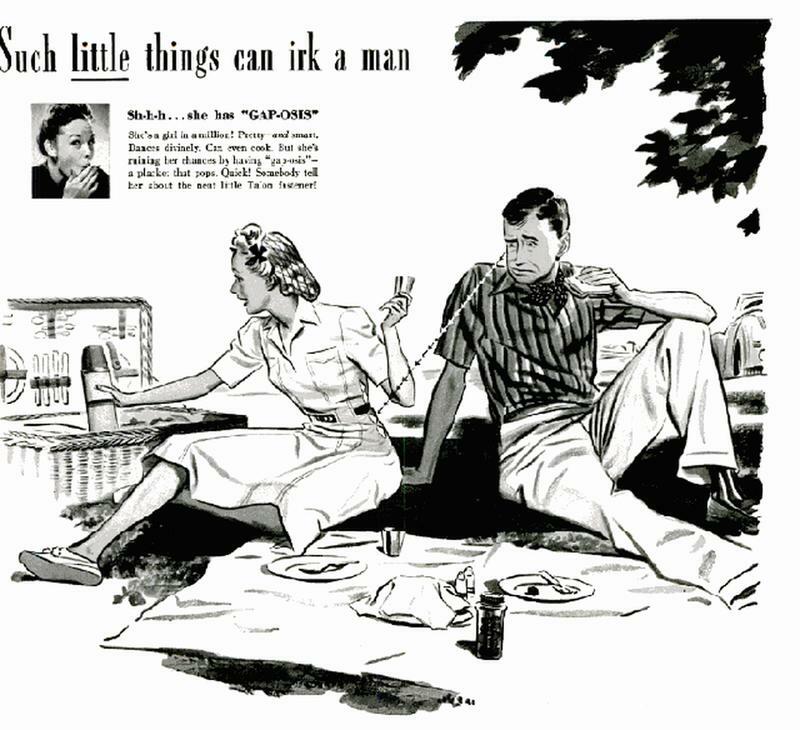 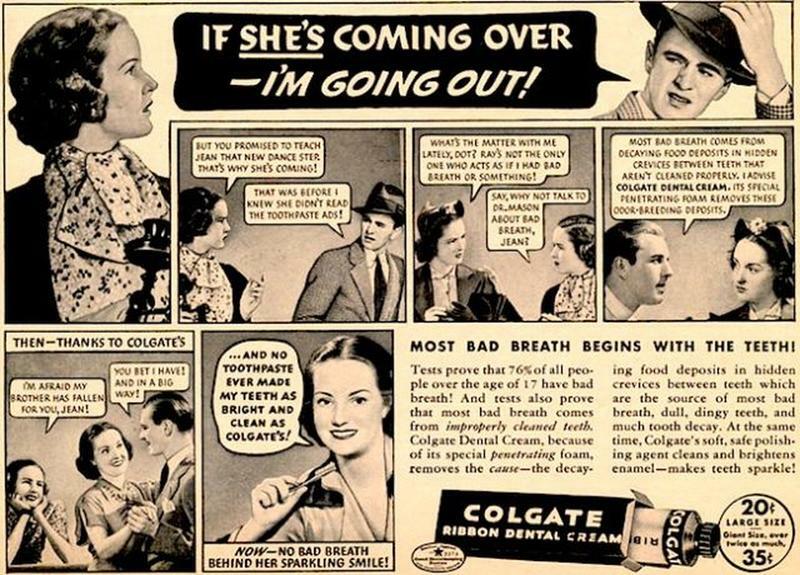 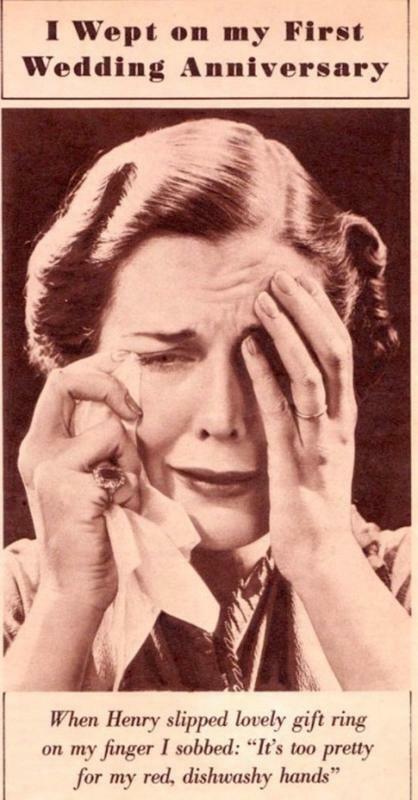 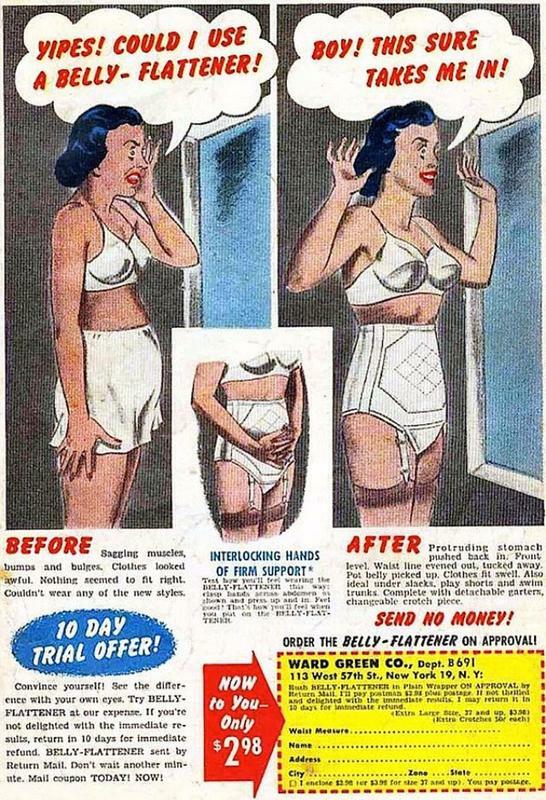 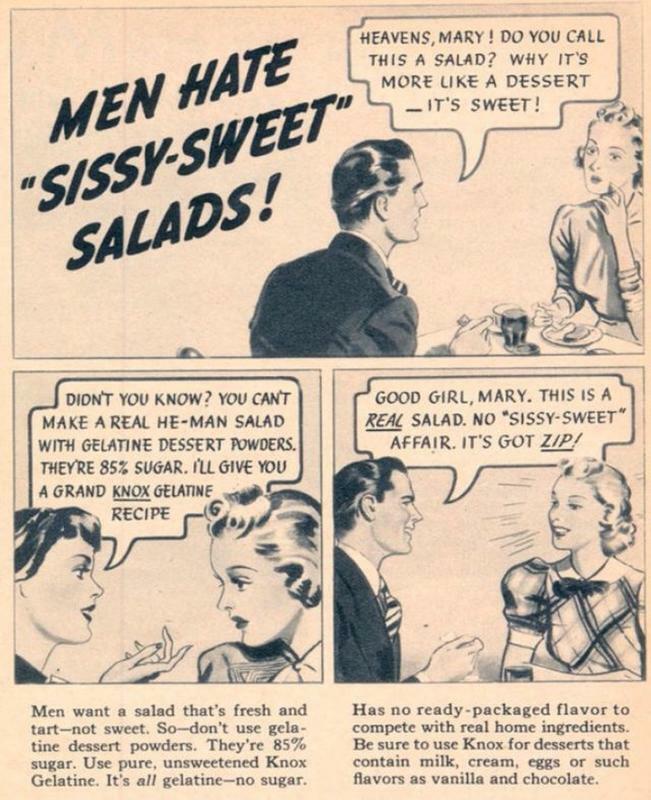 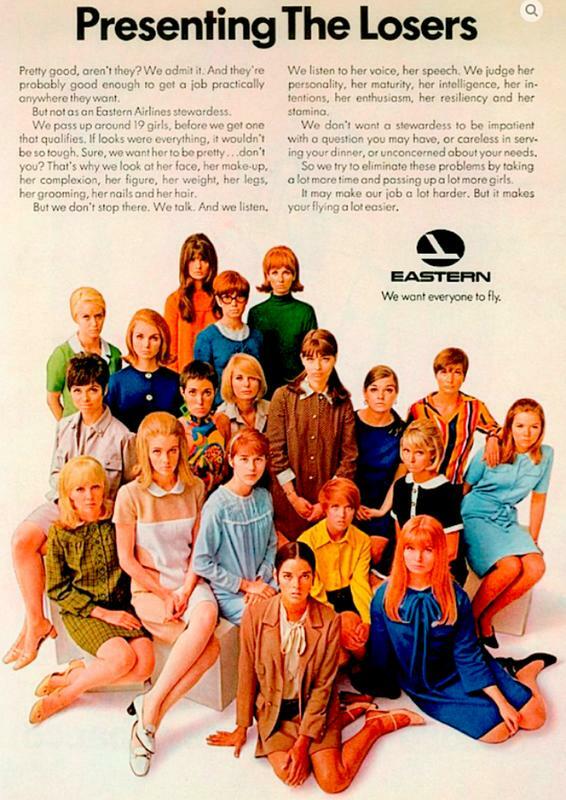 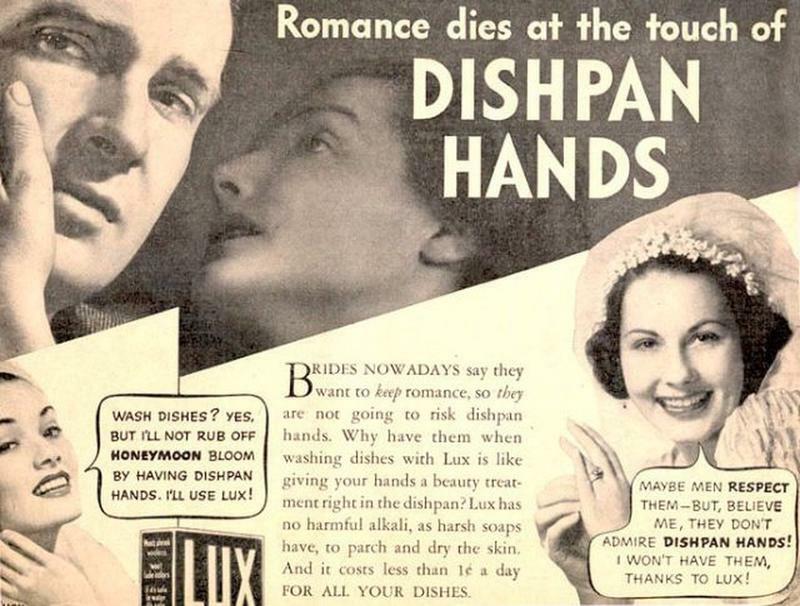 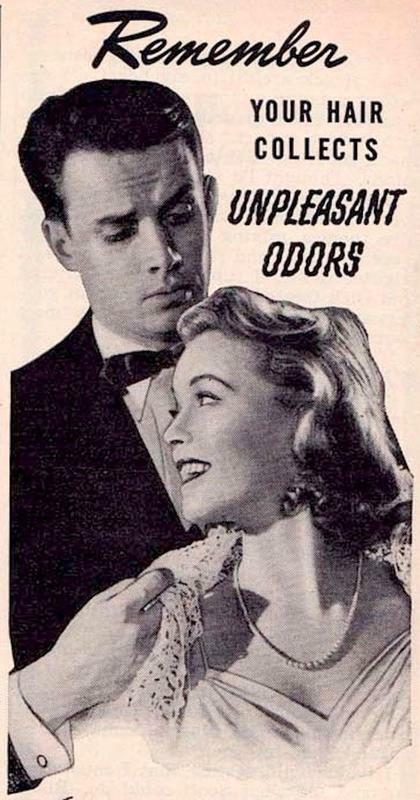 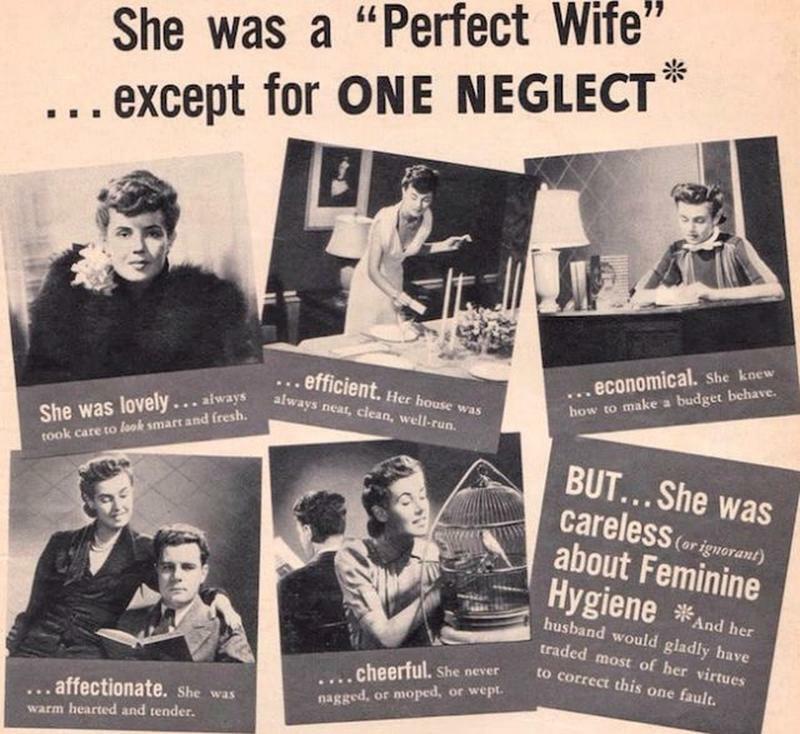 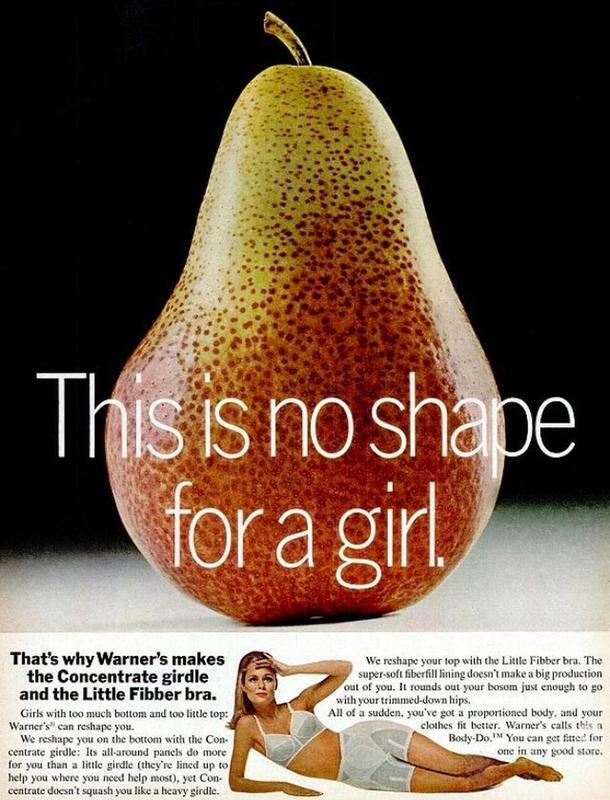 Here's a collection of 40 atrocious and offensive vintage ads any woman would find scandalous.